Basic single and double digit math can be difficult for some children when they are first introduced to it. Not only are the processes of addition and subtraction confusing in the beginning, but the organization of the numbers also can be difficult for a child. 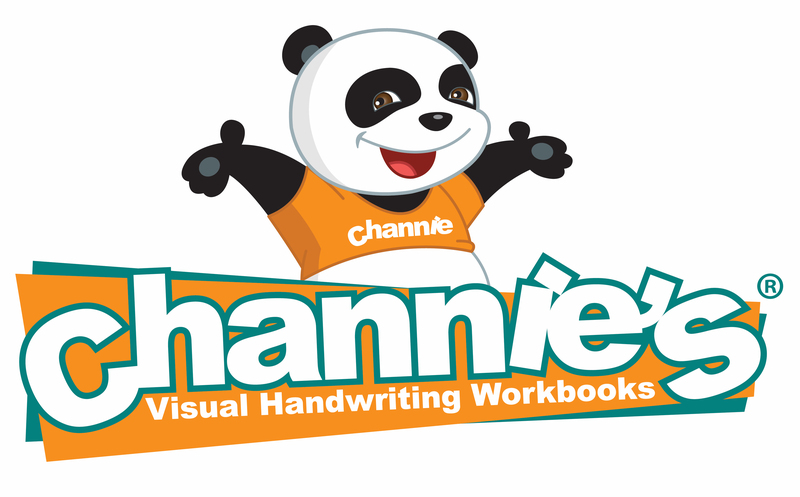 This is even more so the case when the child does not have good handwriting skills. 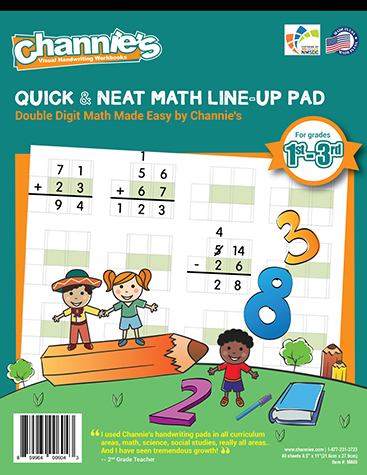 Channie’s Math LineUp Pads are designed to teach your child how to develop consistent number writing skills. 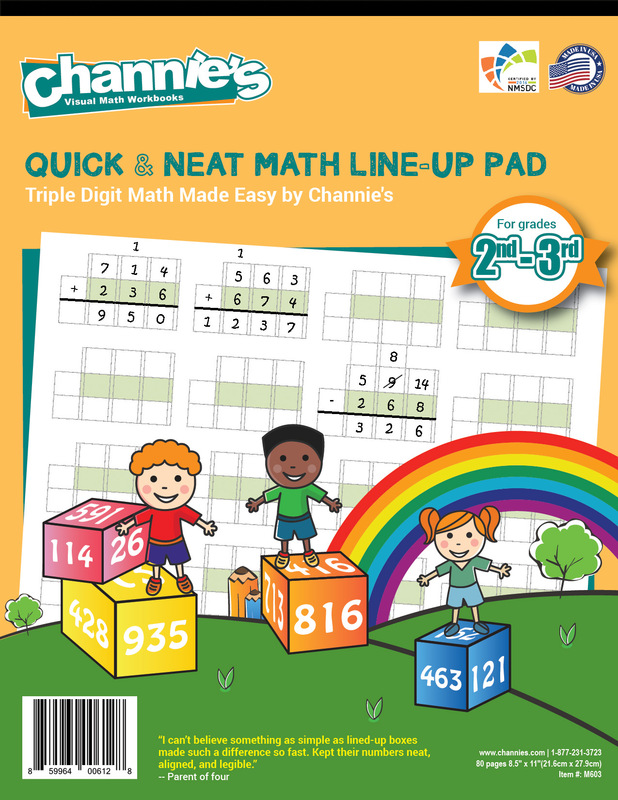 They also reduce your child’s stress by helping them line up numbers neatly to increase calculation accuracy. It is a great way to organize their math practices and improve their math problem solving capabilities. 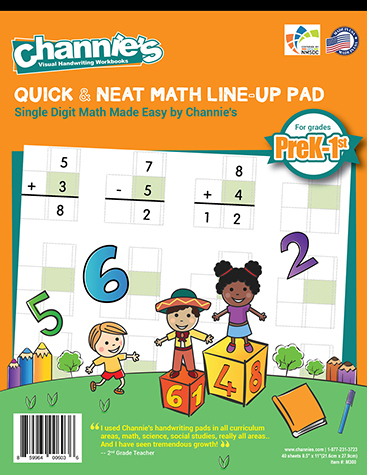 Order Channie’s innovative Math LineUp Pad today and begin contributing to your child’s success in the classroom and in their future.